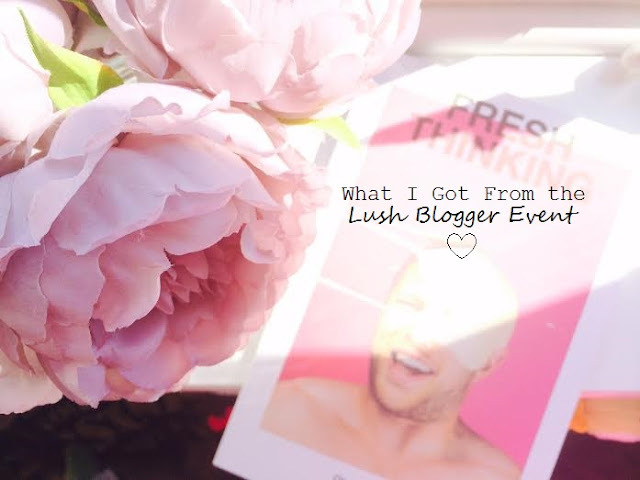 Geeklings Blog x: Lush Blogger Event! Anyway, it turns out that the bloggers which attended got a goodie-bag with a few testers of products which I think were either new or being brought into all shops from the Oxford St. store (which was the main reason why Lush held this event, I think). And so I thought I'd give my first impressions of them and just show you what I got. So we got three mini tester pots of different products and the first one was the Love and Light Hand Cream which is the far left pot in the photo. My first impressions after just sniffing the contents of the pot (which sounds weirder than it did in my head XD) was that it didn't have a really strong smell, but I was completely wrong. When you start working the cream into your hands the smell gets a lot stronger and it is an amazing scent. If any of you have got the Burt's Bees cuticle cream, it smells exactly like that! And if you haven't it smells quite citrusy, but it isn't really sharp because the cocoa butter kind of evens it out. It just smells delicious and your hands immediately look and feel a lot softer and smooth. I can tell I'll be using this a lot! The Lush lady whom was leading the group I was in actually demonstrated this mask on my hand and when she did I could instantly name the smell, it's a really rich, strong coffee and I love it! 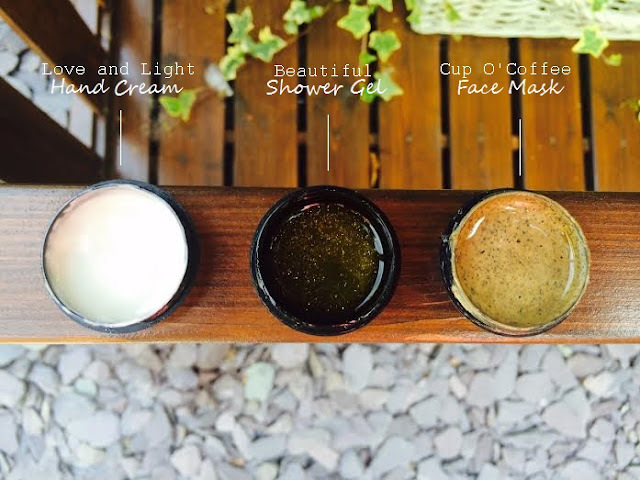 She explained that because this mask actually includes lots of ground coffee beans it's perfect for when you and your skin need to look and feel a bit more awake! 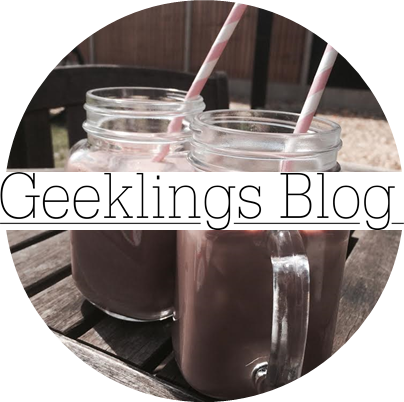 I've just used some on my hand quickly (so I can talk about the product more accurately!) and after I washed and dried it, you can definitely feel the difference- my hand feels so much smoother. I think this is my favourite out of all the goodies we got given on the night. 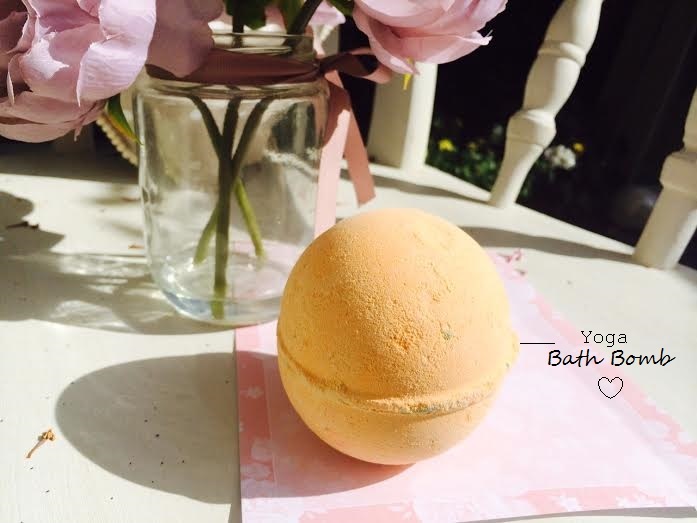 This bath bomb has a fairly subtle scent- by this I don't mean that the smell is weak, but the ingredients used are purposely not in-your-face, in order to take a relaxing and calming bath. 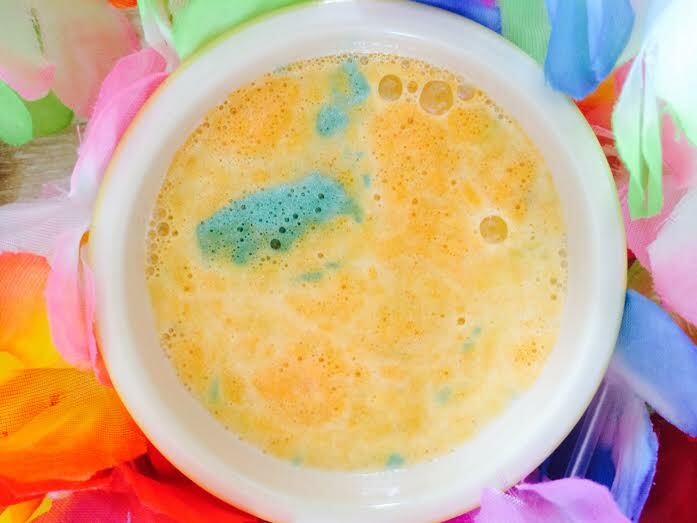 I actually crumbled a bit of this in a ceramic pot to show you guys (photo below) and it dissolved fairly slowly, with little bursts of turquoise and purples in the water and then a really fine golden glitter which doesn't leave your body in need of another bath, just to wash the glitter out! It's surprisingly really calming just watching the bath bomb fizzle (is this even a word!?) and gradually spread and mix with the water (this was just from my experience with the ceramic dish on my desk so I bet it would relax me so much I'd fall asleep when I actually take it in the bath!). Another thing I noticed was that you could probably easily get away with using only half of this in the water and keeping the other bit for another bath because you get the same atmosphere and affect with only a small amount- great value for money! Highly recommend this.